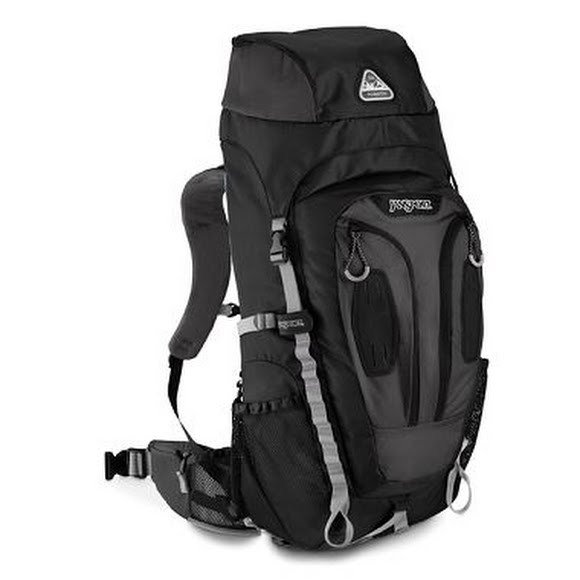 From Everest to Rainier, JanSport's Pro Series packs have been carried up the world's most challenging peaks. These packs are engineered to perform with award-winning innovation for design, fit and comfort for every alpine adventure. From Everest to Rainier, JanSport&apos;s Pro Series packs have been carried up the world&apos;s most challenging peaks. These packs are engineered to perform with award-winning innovation for design, fit and comfort for every alpine adventure. Extremely lightweight molded foam shoulder straps conform to your body and evenly distribute pressure. Angled vent holes within each strap provide maximum ventilation, keeping shoulders cooler. Converts a large mesh compartment into two small gear pockets with a quick clip. Measurements 34.2" x 11" x 8.6", Torso fit range: 19-22"